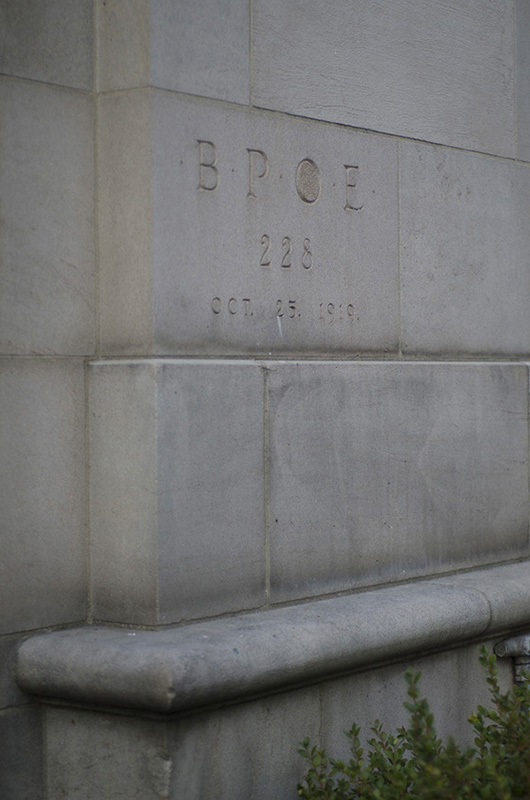 The Benevolent and Protective Order of Elks was a prominent organization in Spokane in the late nineteenth century. Their membership rose significantly from only 45 charter members on February 13th, 1892-the date the Spokane lodge of Elks was constituted-to nearly 8000 charter members in the early decades of the 20th century and thus furnished the need for a larger place of assembly. 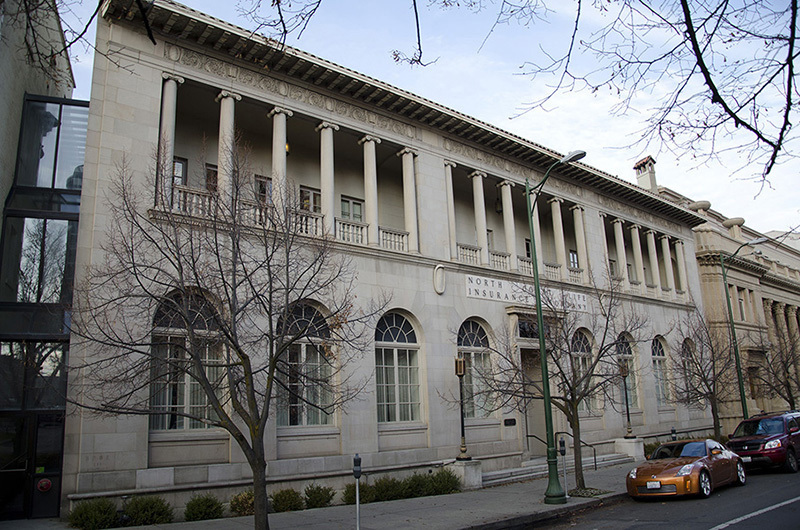 At the time of construction, the Spokane Elks Club had the second highest membership rate, right behind the Elks Club in Los Angeles, CA. 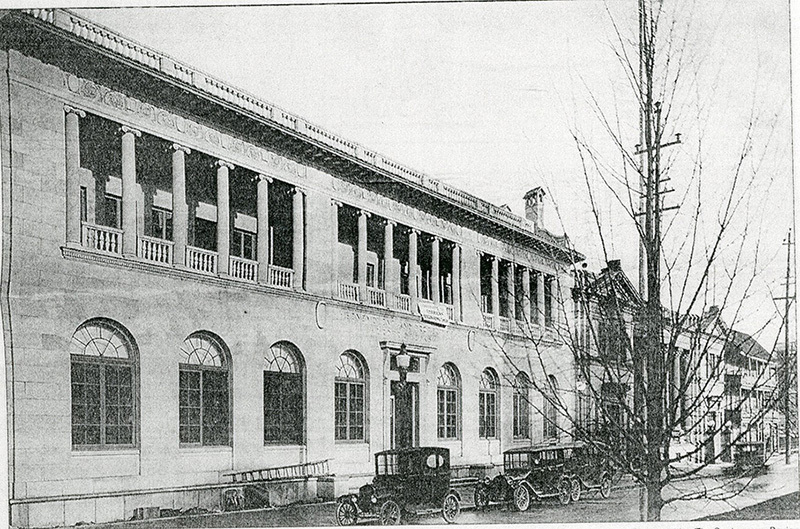 The Elks Club or Temple was constructed from 1919 to 1921 by the famous architects Kirtland Cutter and Edward J. Baume, with Italian Renaissance Revival architectural influence purposely resembling the faÃ§ade of the Villa Medici in Florence, Italy. The contract to construct the building was $200,000 with plans to have the corner stone laid by Frank L. Rain, Grand Exalted Ruler of the lodge, during his visit to Spokane. The construction of the lodge was delayed numerous times on counts of the First World War and rising material costs. The national Elks organization began as a social club known as the "Jolly Corks" in 1868 in New York City and later assumed the elk as their mascot. Their aim was to contribute to their communities through charitable work and public service. Spokane Elk's Lodge #228 was unable to keep up with its membership numbers and soon lost the resources to afford the luxurious building. 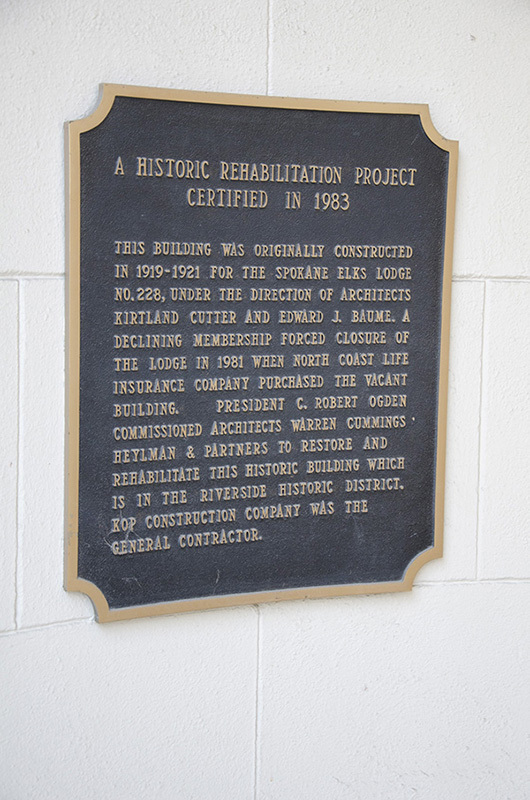 The Elks in Spokane moved to Spokane Valley while North Coast Insurance purchased the building in 1981. 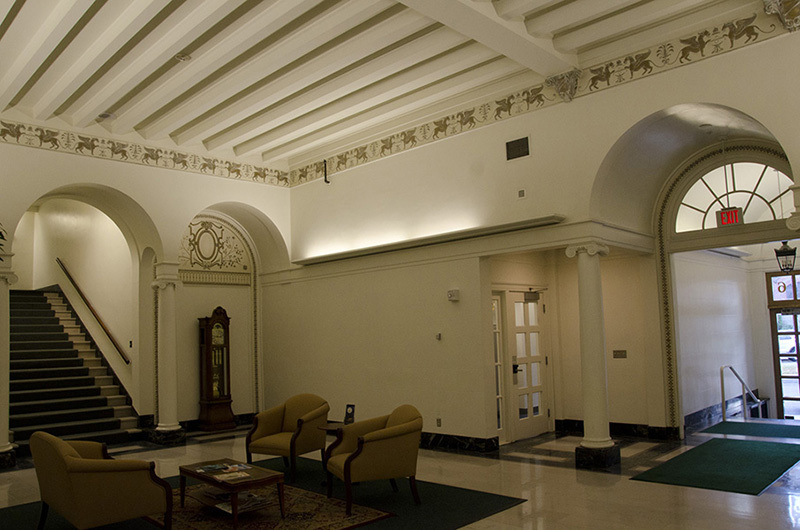 The building was restored in 1983 to many of its original details. The Washington Trust for Historic Preservation gave the renovators an Award of Outstanding merit for their careful work in restoring this Spokane gem. 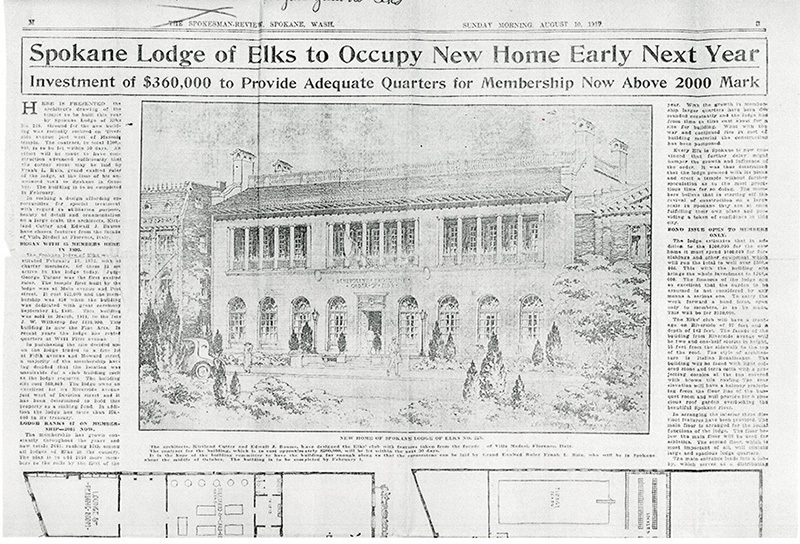 Early Years: Elks' Lodge in 1928. Image courtesy of Spokane Public Library, Northwest Room, Spokane, WA. 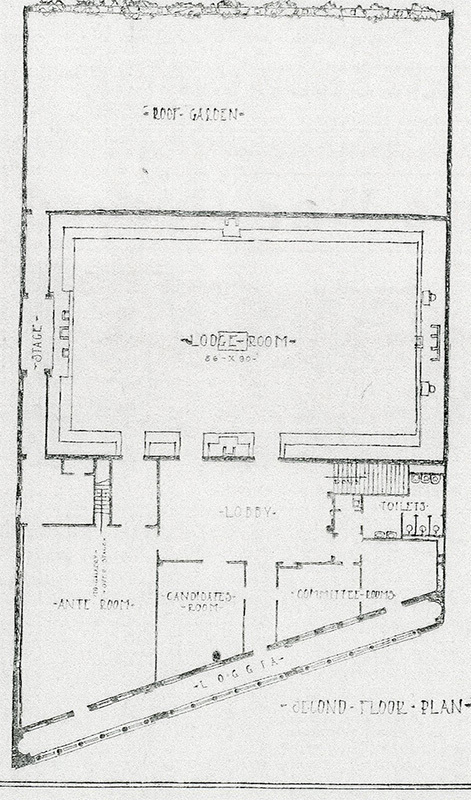 Drawing: Artistic Rendering of proposed Elks' Club in Spokesman Review August 1919. Image courtesy of Spokane Public Library, Northwest Room, Spokane, WA. Drawings: Original Architectural Drawings. Image courtesy of Spokane Public Library, Northwest Room, Spokane, WA. Street View: Image courtesy of Eric Hatton, Spokane, WA. 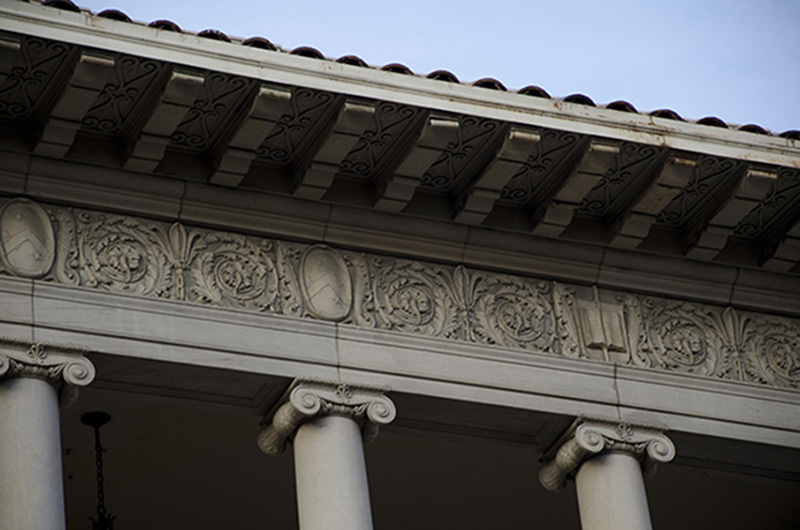 Architectural Details: Image courtesy of Eric Hatton, Spokane, WA. Modern Lobby: Image courtesy of Eric Hatton, Spokane, WA. 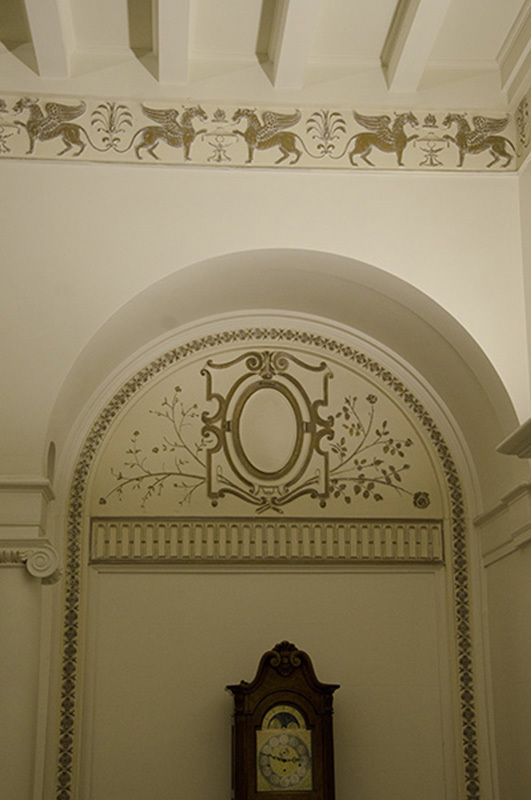 Modern Interior Detail: Image courtesy of Eric Hatton, Spokane, WA. 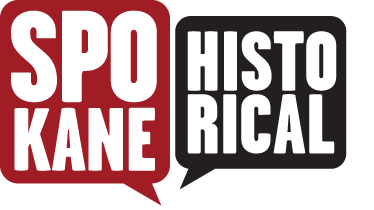 Modern Historic Restoration Placard: Placard officiating Historic Preservation Certification. Image courtesy of Eric Hatton, Spokane, WA. Cornerstone: Cornerstone. Image courtesy of Eric Hatton, Spokane, WA. 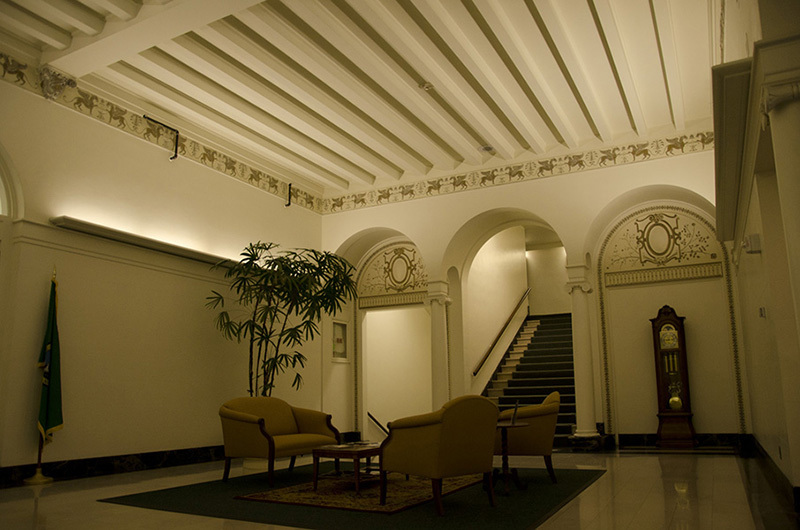 Caitlin M. Shain, “Historic Elks Club,” Spokane Historical, accessed April 21, 2019, https://spokanehistorical.org/items/show/265.